Completely family owned and operated by a company known as a cornerstone of business in Downtown State College since 1933, McLanahan’s Downtown Market remains committed to not only contributing to the strength of our local economy, but also supporting it, by carrying product lines from myriad local businesses, including (but not limited to) State College Diner Grilled Stickies, Café Lemont, Rothrock Coffee, Herlochers, Ching Sushi, Fasta Ravioli, Naked Cereal & Granola, Dan’s Line Caught Salmon, Champs Bloody Mary Mix, Mario’s Vodka Sauce, Stanley’s Wonder Wing Sauce, and Lost Hollow Honey. Walking in from the bustle of downtown, customers enter a relaxed café atmosphere, flooded with the scents of brewing coffee, crisp, cut fruits and vegetables, savory simmering meats, and buttery sweet cookies. The front of the Market is dominated by comfortable seating and the Café/Juice bar, featuring smoothies and fresh, handmade natural juices, including using raw juices made from locally grown organic produce from Green Heron Farm. Coffee lovers indulge in Segafredo Zanetti coffees, made to order, alongside rich baked goods, baked in-store daily. To the rear of the Market, the Agostinelli Deli beckons with a wide selection of hot and cold foods, from handcrafted subs to order, fresh chopped salads, Grab ‘n Go wraps and sides, the famous McLanahan’s Breakfast Bagels, and a self-serve hot bar with Roasted Vegetables, Meats, Pasta, and varied special/seasonal items. Subs and wraps are made with Boar’s Head meats and cheeses on freshly baked rolls, delivered daily by Lycoming Bakery. From University functions, to special events, to tailgates, McLanahan’s Downtown Market provides Catering trays of sandwiches, sushi, fruits & vegetables and cookies around the community. 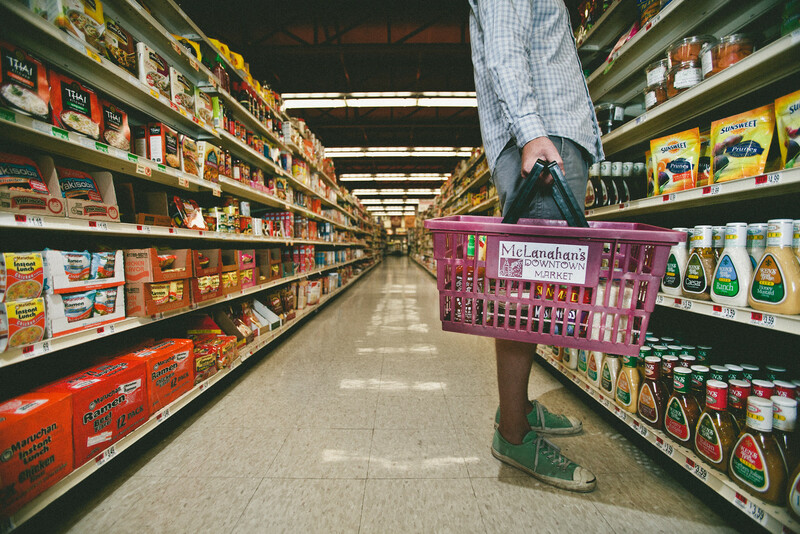 The grocery section offers something for everyone – whether for the mainstream, natural, or organic diet – you’ll find classic favorites, as well as an extensive variety of all natural, organic, gluten free and non-GMO items, including health & beauty products. In addition, the Market provides greeting cards, Penn State merchandise, and the basics for Downtown Living such as toiletries, laundry items, and much more. 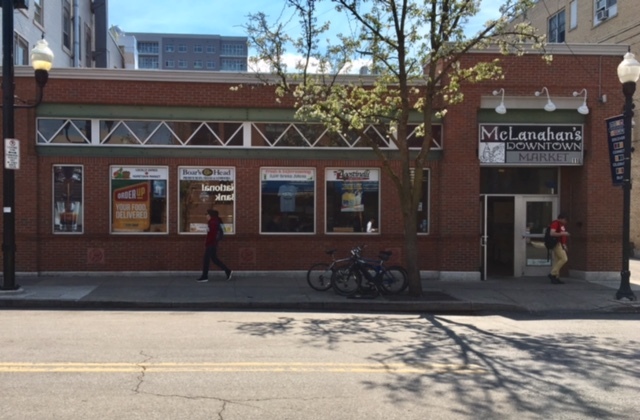 For those busy days, when one just can’t get away, McLanahan’s Downtown Market even offers the option of delivery – of both Deli and Grocery items – via Order-Up. 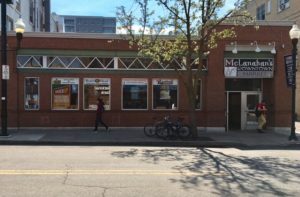 For fifteen years, McLanahan’s Downtown Market has proudly served and supported the local community, and looks ahead to a long future as a staple of Downtown State College life.